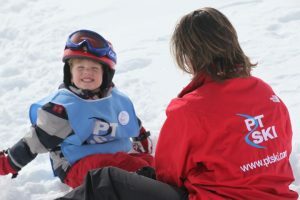 For our youngest guests, typically children aged 4 and 5 (or for slightly older children who have not skied before) this is the perfect place for them to start out or gain confidence in their skiing. 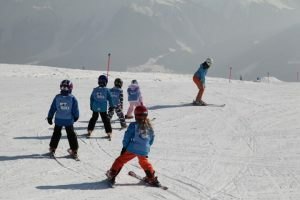 They will be in small groups of typically 3 – 5 children and can develop their technique at their own pace. 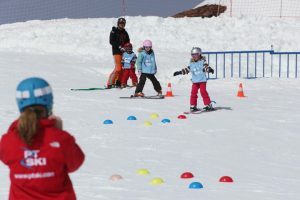 They will be taught by specially selected English speaking instructors from the local ski school and as always with PT Ski the emphasis will be on enjoyment and not just on technique. 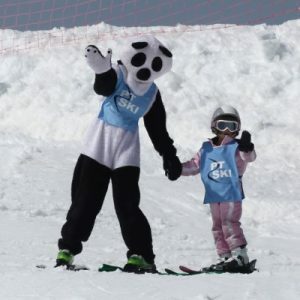 Click here to see a video of our ‘beginner pandas’! The hours are 9am to 4pm for 6 days (at New Year the course will run for 5 days). At this early stage of their skiing career it makes sense for them to have tuition every day. However plenty of opportunity will be given for you to see how they are getting on. On one night of the week they will join the Marmots or the Piste Busters for an après-ski activity such as ice skating, bowling or DVD leaving you to enjoy some of the Klosters après-ski yourself.